The Hitman series has always been about stealth and action, which made it perfect for PC and console. However, for mobile, the developers took a different approach to Agent 47 and his Hitman adventures and took a risk by turning it into a turn-based puzzle game that resembled that of a traditional board game. 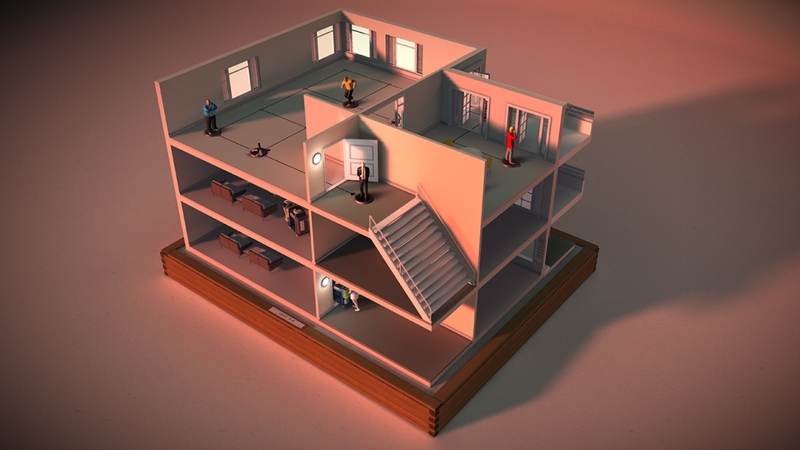 Hitman Go was that game and while originally met with skepticism, the final product became an instant hit thanks in part to its unique visual style and gameplay. 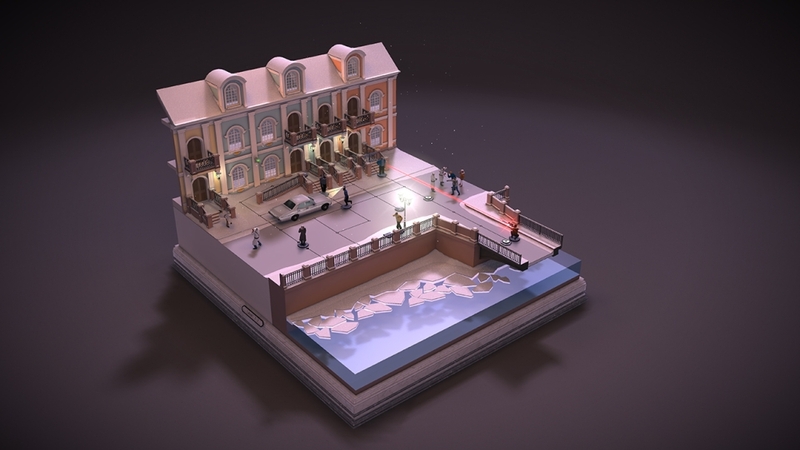 While the game was originally created for mobile platforms, Square Enix Montreal decided to bring Hitman Go to consoles and PC by releasing Hitman Go: Definitive Edition on PS4 and Steam as well as the PS Vita. This isn’t just a straight port however as there are a few key differences. The definitive edition has been updated with a new control scheme, along with new platinum trophies and Steam achievements. On PlayStation, Hitman Go: Definitive Edition also employs Cross-Save so you can sync your saves between PS4 and PS Vita. The game includes all previous content updates (Opera, Airport and St. Petersburg boxes) and all in-app purchases have been removed. 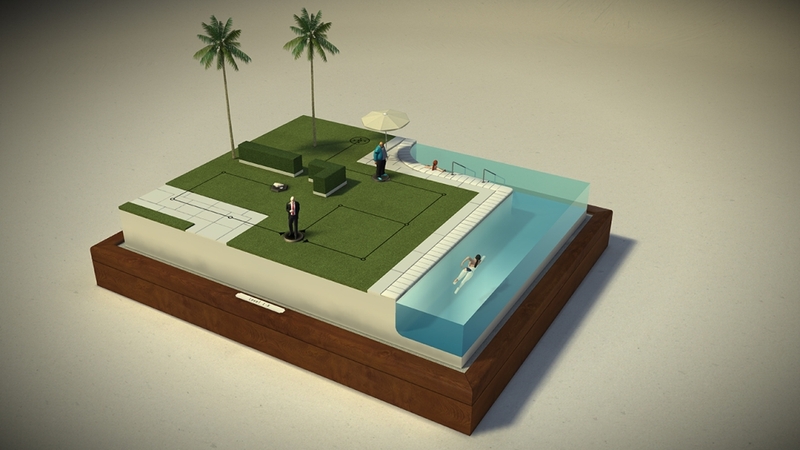 The version I’m using to review Hitman Go: Definitive Edition is the PlayStation 4 edition. 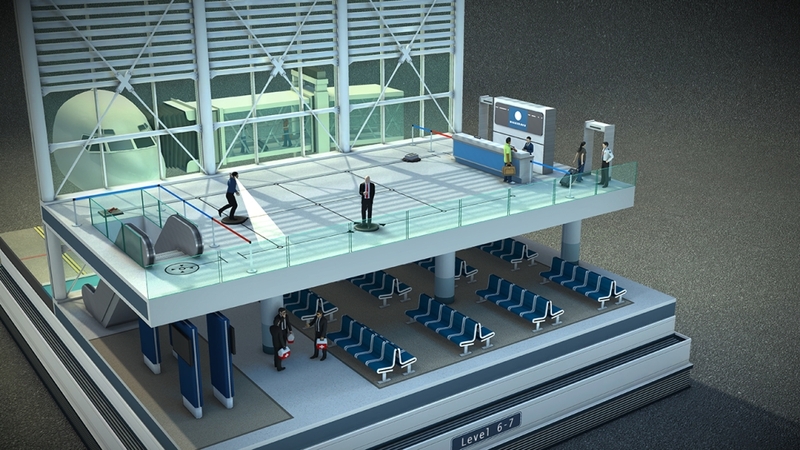 You can’t really talk about the gameplay yet without first talking about the look and feel of Hitman Go. When the game first came out, it was a completely different take on the whole Hitman franchise that caught everyone by surprise. The game is presented as a physical board game where each chapter is its own board with its own theme. 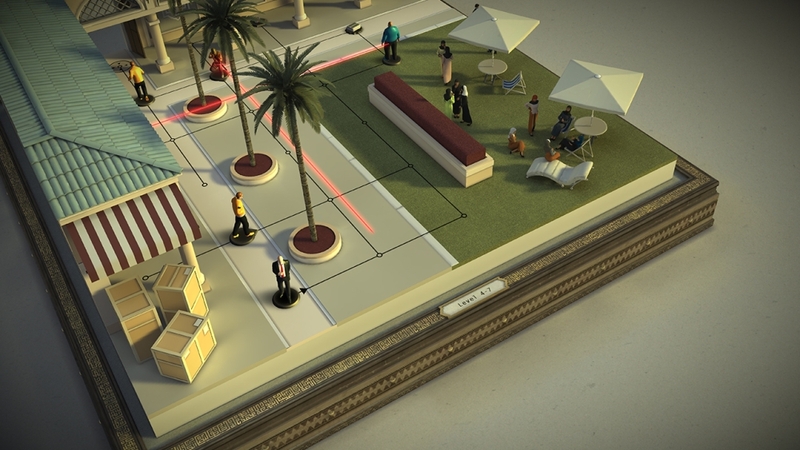 The board has different levels on it, but unlike a physical board game, each level you land on transports you to a diorama scene where the actual game part takes place. These dioramas are beautifully rendered as photo-realistic scenes that look like they could be physically real objects. It’s as if this thing is really sitting in front of you and you have to use your hands to move the pieces around. It’s something really different and that’s probably why so many people enjoyed it. Now while the visuals are stunning, I can’t forget about the audio here.The soundtrack is smooth and mellow and has that Hitman feel from the previous games. 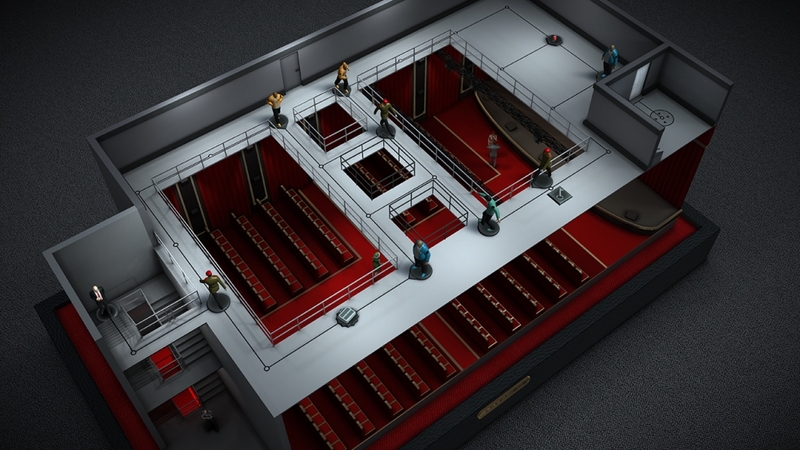 It really fits the slower nature of HitMan Go: Definitive Edition. On top of the soundtrack, the sound effects used really make you feel like you’re playing an actual board game. The combination of all the elements makes the game quite calming, despite it’s challenging nature. It’s really a different experience from any other game out there. Also, the move to the big screen really helps highlight just how beautiful this game is. Now I can talk about gameplay. While gameplay should be #1 when we talk about games, the presentation couldn’t be overlooked here. It’s one of the main reasons why the original mobile game was so popular. 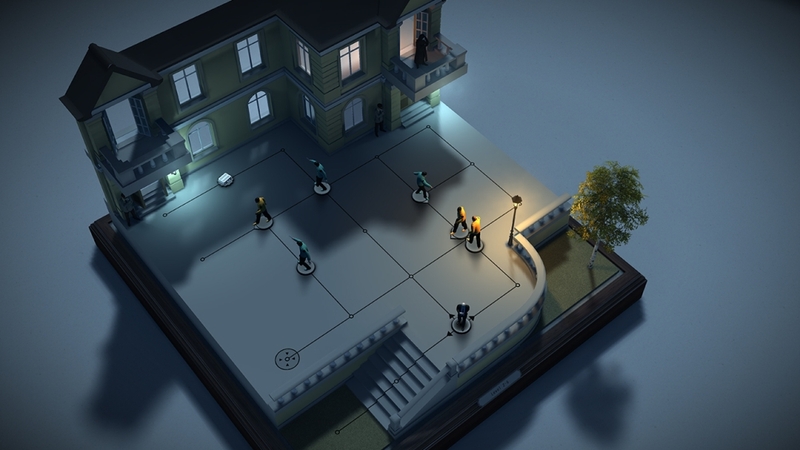 Hitman Go plays like a board game, one that also acts as a puzzle game. You play as an Agent 47 game piece and move him around set spaces on the board. You can only move one space at a time with the gameplay freezing when you don’t move. That means the enemies on the board do not move or engage you unless you also move. It’s up to you to figure out enemy patters and use that to maneuver around the board without being spotted. If you take a look at the video below, you can get an idea of how the game plays. This video only shows box 1, which isn’t too hard and is really used as an introduction on how to play the game. Each level you play has a specific objective. It could be to get to the end of the board or to assassinate a certain game piece on the board. The assassinations usually occur on the last level of each chapter. You must move Agent 47 around while also avoiding enemies from spotting you. Most enemies will only spot you if they are directly facing you. If you approach them from the side or rear, they can not see you. Enemies must also be on the adjacent space you are on to spot you. While completing the main objective isn’t really that difficult, it’s the extra challenges that make completing the game more challenging. Extra challenges can include completing a level with “X” amount of moves or trying to complete a level with no kills. Usually that means multiple playthoughs on each level and sometimes lots of trial and error. Again, you can see that in the video above where I do some missions over in order to complete all the challenges. If you’re wondering how the game plays using a controller now instead of a touchscreen, wonder no more. It’s a smooth transition and works just as well. A flick of the left thumbstick will get Agent 47 moving in the direction you want and moving the right thumbstick will allow you to rotate and move the level around for better angles. It all works quite well. 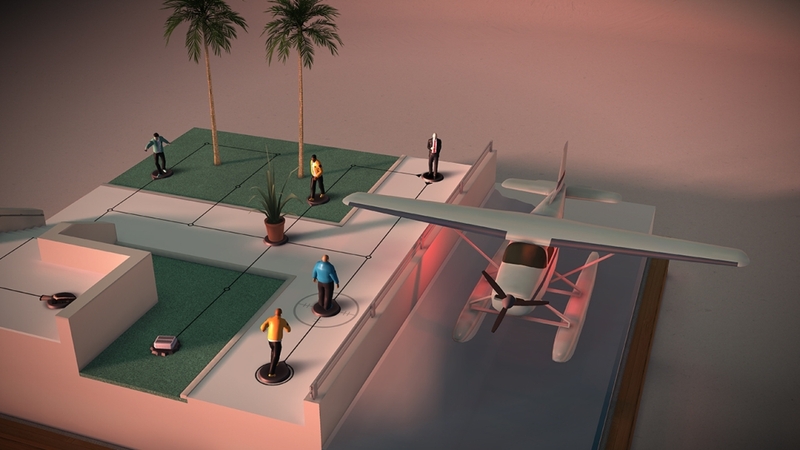 Whether you’re new to Hitman Go, or are a returning player from mobile, Hitman Go: Definitive Edition is a joy to play on larger screens. You’re able to see just how beautiful the game is and how meticulously crafted it really is. Not only that, this is the definitive version as it includes every single bonus mission from the previous mobile games with zero of the in-app purchases. One purchase gets you the whole thing as well as the PS Vita version as this game is Cross-Buy. That means you’ll have one copy for home and one on the go. And with Cross-Save enabled, you can sync your saves from both copies.